If you are looking for extra insurance on your new or used vehicle, an extended auto warranty is right for you. An extended auto warranty will give you the peace of mind that you deserve. You won’t live in constant fear of a new repair that will cost hundreds or thousands of dollars out of pocket. Instead, you’ll be able to rest easy knowing that your extended auto warranty will be in place in case there are any mechanical breakdowns or emergencies that arise. Extended auto warranties come in all different lengths, coverage levels and costs. Take your time when you research them as the one that you choose could end up meaning a lot down the road. Let’s take a look at some of the most valuable extended auto warranty tips. Shop around for your extended auto warranty. Make inquiries with multiple providers to find the best deal. Once you start looking around, you’ll notice that there are all sorts of different warranties available from a wide range of providers. Before committing to one specific extended warranty plan, check each organization’s Better Business Bureau rating to ensure that they are reputable providers. You should also take the time to read some consumer reviews from fellow automobile owners to determine which company has the best reputation within the community. You might notice that some reviewers have qualms with company coverages or that others are impressed with their low cost. 2. Don’t go with the cheapest coverage plan. While it is tempting to opt for the least expensive coverage plan, it’ll be bare bones. It might only cover emergencies like lockouts, fuel deliveries, flat tires etc. An extended auto warranty should cover more than that. It should be there to protect you and your wallet in the event that your vehicle suffers a breakdown and needs costly repairs. Remember, some extended auto warranties only cover specific parts of the car. It is advisable to get a comprehensive extended auto warranty so that your entire vehicle is protected in the event of a malfunction. Be sure to choose a plan that you can afford. The deductible for a comprehensive extended auto warranty might be out of the price range for a handful of drivers. You should also find out if the deductible is applied per repair or visit. If it is per repair, you’ll have to pay the deductible for each of the vehicle’s individual problems. That can add up quickly. It is ideal to obtain coverage with a per visit deductible so that you only have to pay once no matter how many issues needs to be tended to. Carefully balance the coverage range with the coverage cost and deductible style before making a decision. 3. Where can you fix your vehicle? If your vehicle does need a repair down the road, you’ll be best served by knowing exactly where you can take it and still have the repairs paid for by your auto warranty company. If the provider doesn’t allow your dealership or a local auto shop to perform the repairs, consider doing business with a more flexible insurer. The best extended warranties let automobile owners have their vehicles repaired at any type of repair facility. The worst require that you visit the provider’s specifically approved repair shop. This could prove to be disastrous if you suffer a breakdown in a situation like a weekend day with terrible weather. Can you imagine trying to travel all the way to the approved repair shop that is hundreds of miles away? It might not even be open. Do your research ahead of time so that you don’t end up in a predicament like this. By performing regular maintenance, you’ll be able to decrease the odds of a mechanical problem. It will also keep you in the clear with your warranty provider so that you don’t end up with a claims denial. Always change your vehicle’s oil according to the specifications of the dealer or your owner’s manual. Have maintenance performed on the manufacturer’s recommended schedule and always keep your receipts so that you have proof of your diligence. 5. Read your contract carefully. 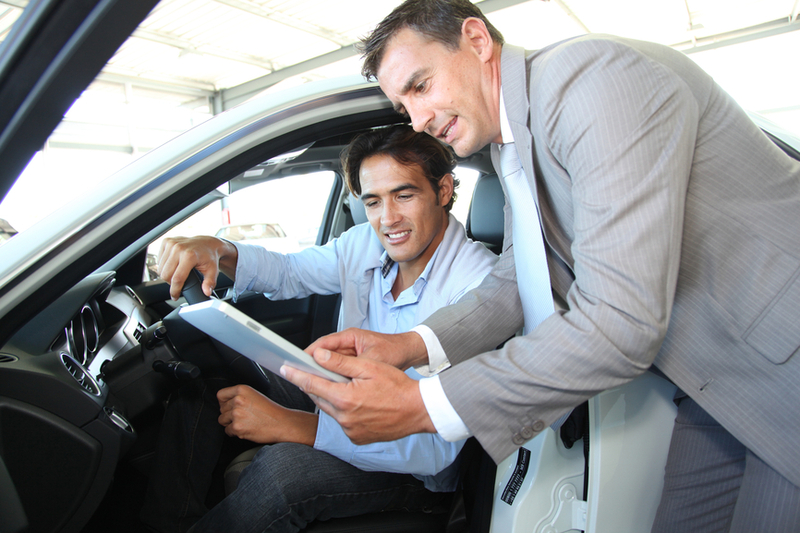 One of the most common mistakes made by those who purchase extended auto warranties is that they fail to read the contract. Oftentimes, the devil is in the details. Read through your contract and cancellation policy to determine what is not covered and what will cause the warranty to void. Make sure that all of the details match the statements made by the company representative that you met with or spoke to over the phone. If the business won’t show you the contract before you plunk down your money, take your business elsewhere. Quality Gasoline: Does Higher Price Define Quality? We will help you find the most affordable and trustworthy protection plan for your vehicle. Our articles and tips will help you make the right decision.